Happy Friday to you and thank you for stopping by! Today there is a new challenge over at Just Add Ink. Its an Inspiration Pic chosen by fellow JAI team memeber, Di Barnes. It says to me rustic, wooden elements and masculine. So I've tried to incorporate some of those elements for a Masculine birthday card also trying to use some of the colours from the pic too. The wooden herringbone DSP is from the Serene Scenery DSP paper stack which has stunning photographic artwork for a life like looking DSP. There are 4 each of 12 double-sided designs in 6"x6", so I'm sure there is something in the DSP stack that will tickle your fancy. 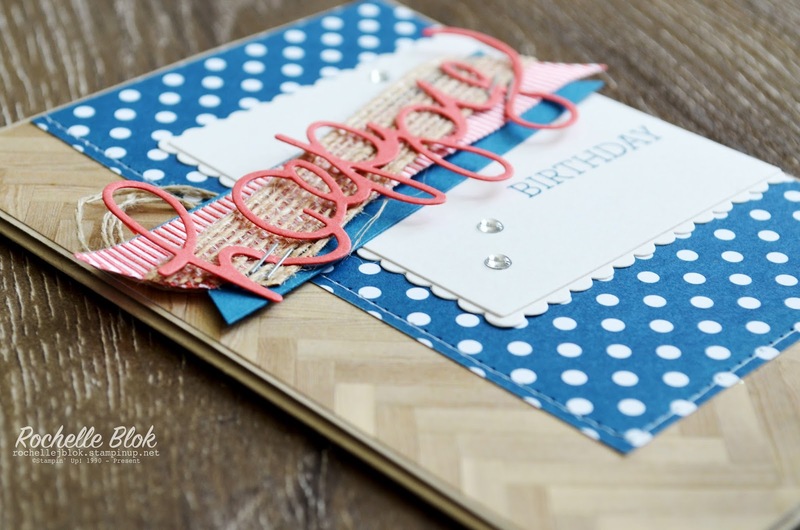 I've then used the colours Dapper Denim and Watermelon Wonder for the rest of the design elements of the card. I think it is a masculine looking card, even with a bit of ribbon and sewing on it, what do you think? 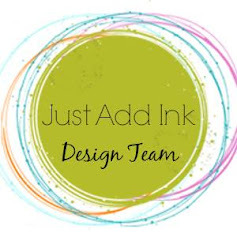 I hope that you join us this week at Just Add Ink! We love to see everyone of your creations each week and your take on the challenge! Hello and welcome! 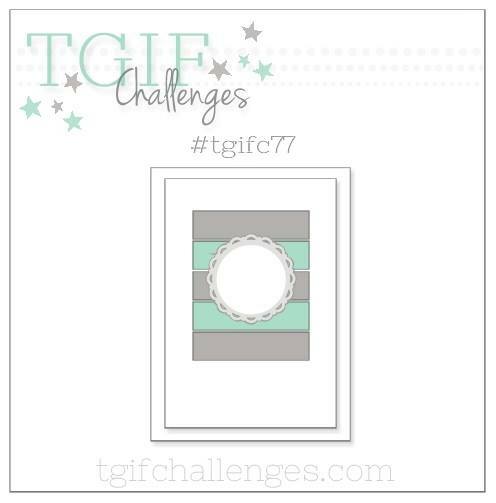 There's a new challenge over at TGIF Challenges and this week its a sketch challenge. It's fairly straight forward but has room for lots of interpretation and creativity. 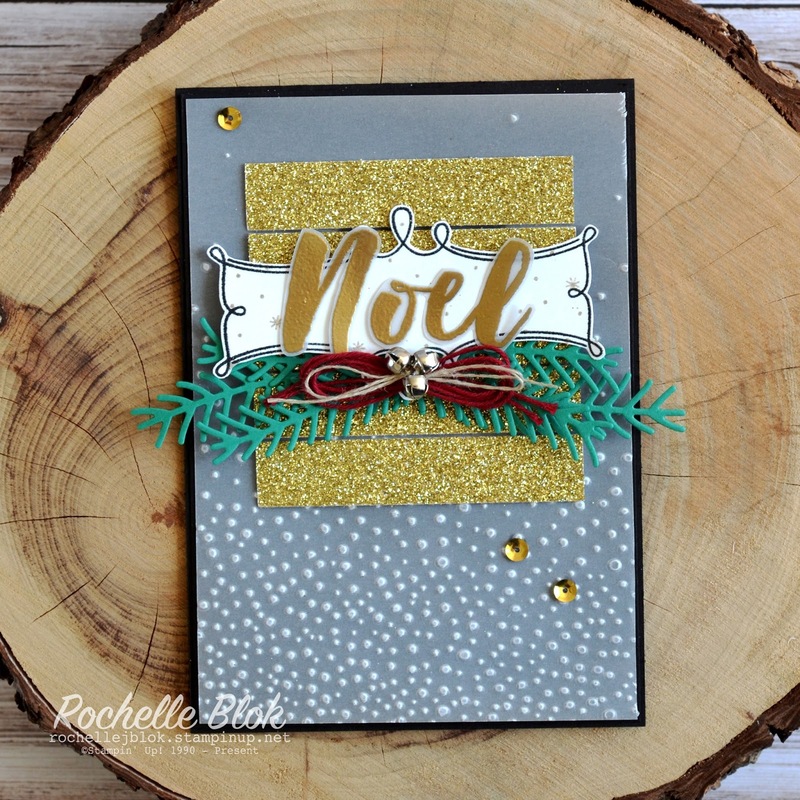 I've gone with a Christmas Card for you today using Stampin' Up! 's Christmas Pines stamp set and framelits. I thought it would be great to start with some strips of Gold Glimmer paper. Gold Glimmer and Christmas cards seem to go hand in hand. Well they do for me. I've pulled out my all time favourite embossing folder, Softly Falling. I love the beautiful pattern of this embossing folder and I love to use it all year round, not just for Christmas Creations. 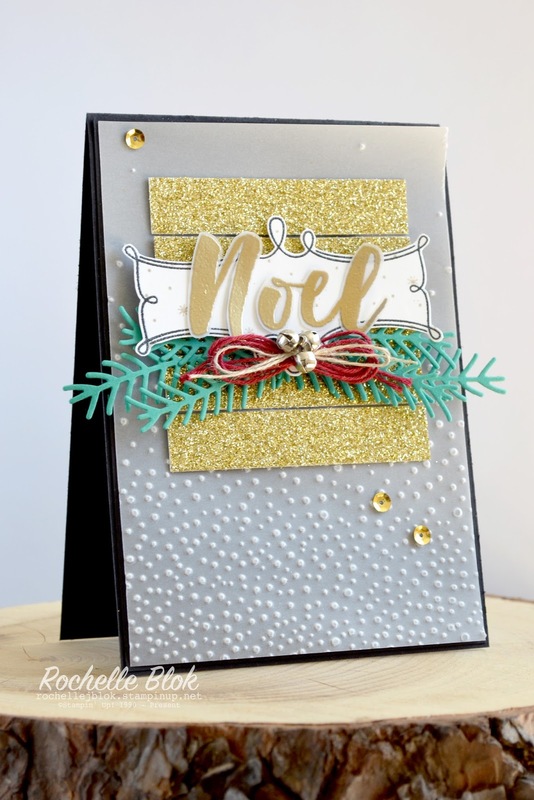 I've stamped the 'Noel' on to vellum with Versamark and then embossed it with Gold Stampin' Embossing Powder. Loving the gold look on the vellum and it's just another element that makes it look 'Chrismassy'. All finished off with those super cute Mini Jingle Bells and the Pine Branches for some fun textures and elements. 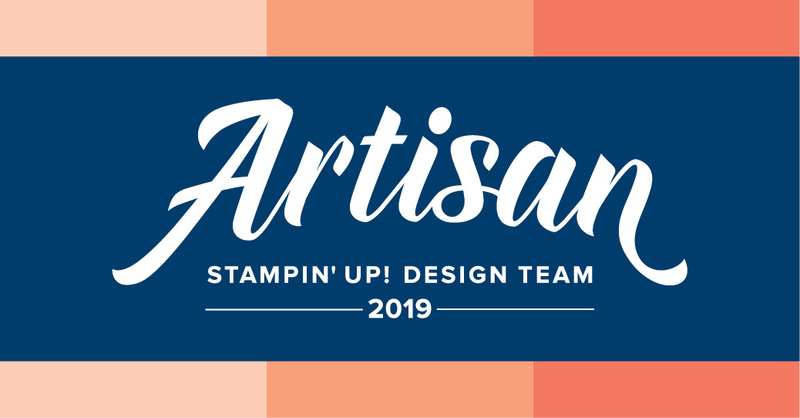 I hope you’ll check out the rest of the inspiration from the design team and then play along with our fun sketch. Would love to see your creations! Hello! I hope you've had a fabulous week and a getting ready for the weekend. My kiddies have had their first week back at school for term 4 and we are back in the swing of things. The two week break seems like a distant memory already. I did feel a bit sorry for my kids though as they didn't get to do to much as I was fighting off a cough, cold and generally feeling unwell, that is still hanging around. Might have to do something special with them this weekend to make up for it. 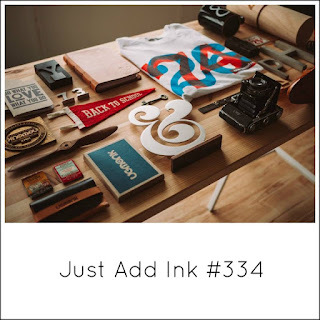 Its a new Friday and an new challenge over at Just Add Ink. Its a fabulous colour challenge to definitely get you thinking. Well it got me thinking that's for sure. The Pumpkin Pie colour threw me a little but I got something made. Phew! 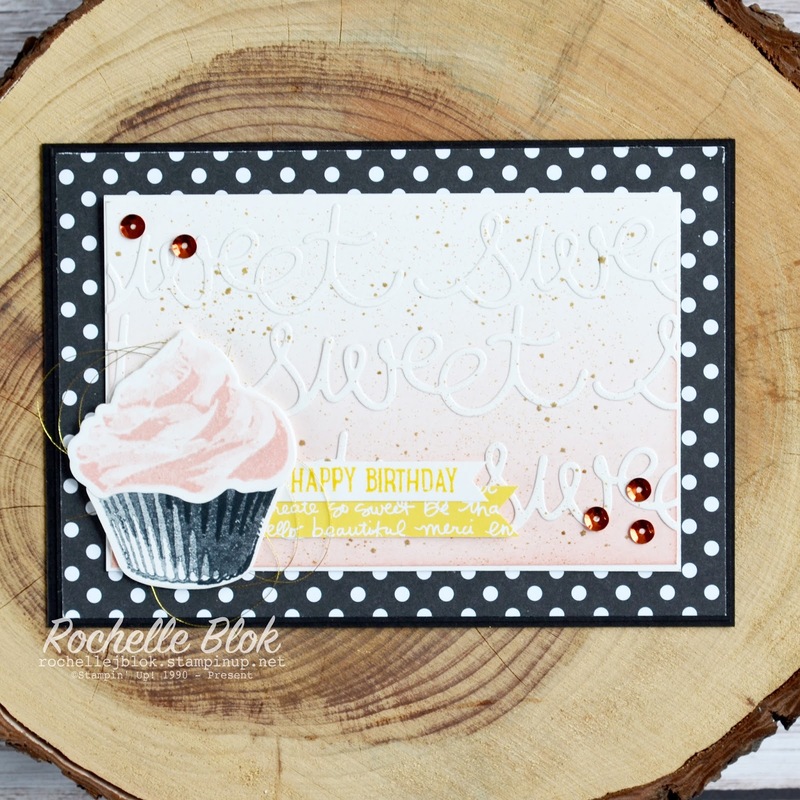 I had another play with the Sweet Cupcake stamp set and co-ordinating framelits. This was one of those cards that the idea came to me as I was drifting off to sleep. I do that often. Maybe I should have a note book on my bedside table to help me remember the ideas in the morning. I've started by sponging the Shimmery White layer with Blushing Bride but only sponging up the layer half way. I still wanted a little bit of the white to show through at the top. I've then used 'Sweet' word from the Cupcake Cutout framelits to repeatedly glue on the Shimmery White layer for a 'Sweet' background. I've then flicked the Gold Wink of Stella over top of that for another added element to the card. I've then used the stamp set for some triple-step stamping for the cupcake using Blushing Bride and the Memento Black stamp pad. I like to use the Memento with the photopolymer stamps as it doesn't stain the photopolymer like the Basic Black Archival Ink does. I didn't want too much of the Pumpkin Pie colour on the card. I felt because its such a bright and overpowering colour too much of it would detract from the overall look of the card. I wasn't sure how I was going to tie in the Pumpkin Pie colour for this colour combo and then like a light bulb went off in my head, I remembered there are Pumpkin Pie sequins in the Brights Sequin Assortment. 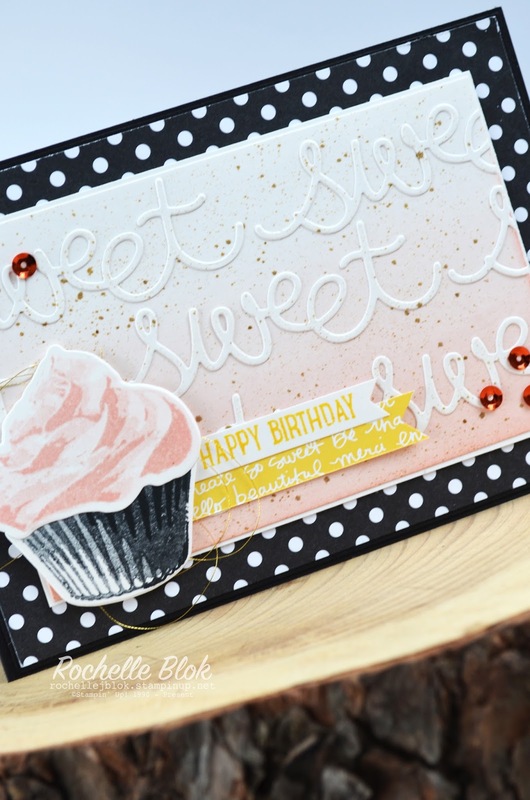 I love using the Metallic Sequin Assortment but always forget about the Brights Assortment. Bingo! Pumpkin Pie sorted! A bit of a 'Happy Birthday' sentiment, Gold Metallic Thread and some Daffodil Delight DSP to bring it all together. Now to write a message to my niece who turned 12 this week. Shh! Don't tell her. I still have to give it to her on Sunday. I don't think her parents read my blog. If they do,"Happy Birthday Jem!" 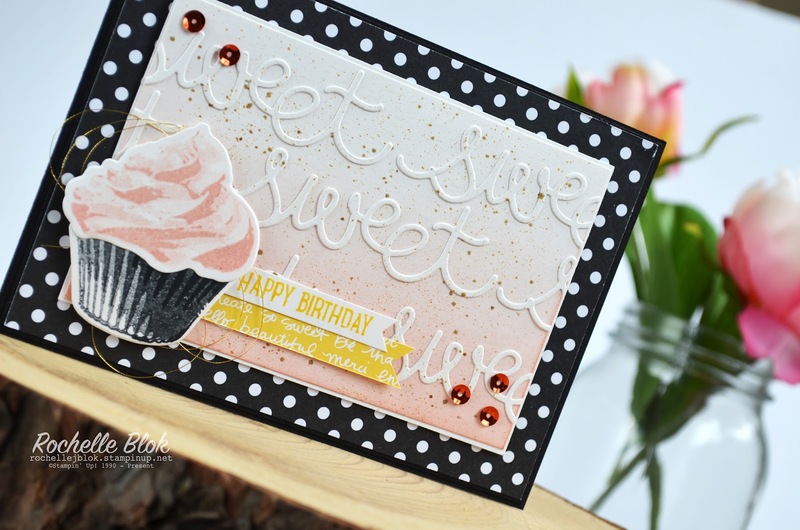 For all the details on this weeks challenge and for more fabulous creations from the Just Add Ink Design Team, click here and I hope we see you play along this week. How exciting!!!!! TODAY is World Card Making Day or for the young people (or the young at heart) WCMD. Today is the day to get out your crafting supplies and make a card for someone, pop it in the post and let someone know that you are thinking of them. Lets get more cards and letters in the mail and less bills. Welcome to our World Card Making Day Blog Hop using current Stampin' Up!® Products. This is such a fantastic way to celebrate this event with lots of amazing inspiration for you. 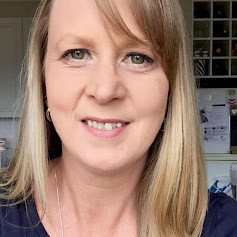 You are currently visiting my blog - Rochelle Blok in Melbourne, Australia and you will be visiting lots of different places in your hop today. There is a list at the end of the page which will help you to move along from blog to blog so you'll see 21 amazing projects all up. Today I've pulled out some products that I haven't used for a while and thought needed to come out of hiding. 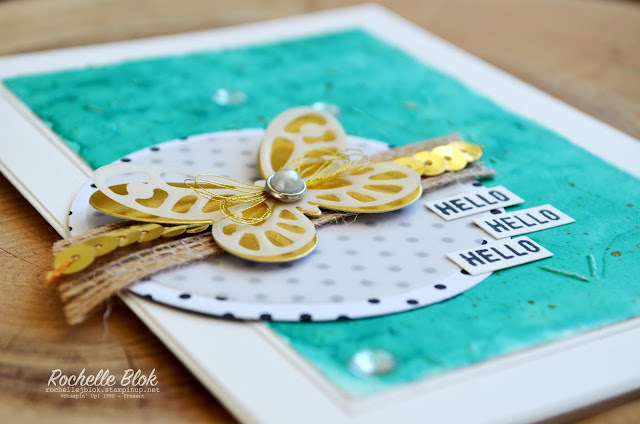 These are the Fluttering Textured Impressions Embossing Folder, the Bold Butterfly Framlits and the Butterflies Thinlits. 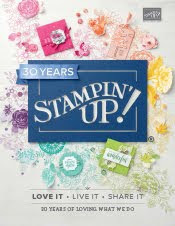 I think that when the Stampin' Up!® Holiday Catalogue comes out we sometimes forget about some of the fabulous products in the Annual Catalogue. I started with a water colour wash layer of Bermuda Bay on Shimmery White cardstock. I so love that shimmery white and I use it that much that it has now been my go to white, except for male/boys cards. The men don't always appreciate the shimmer as much as I do! 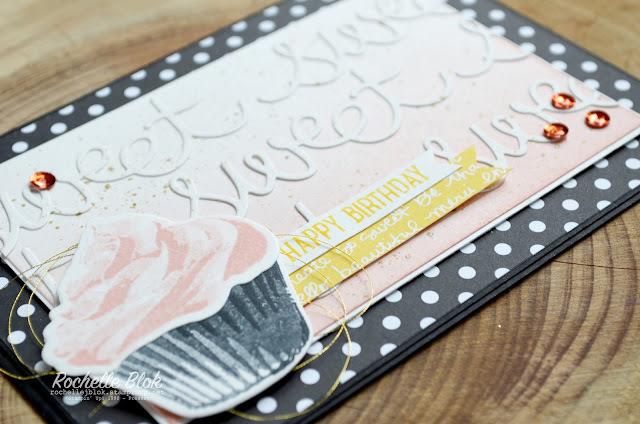 I use and aqua painter to get the colour on the card stock as I find this gets the best coverage. I also don't 'paint' the colour on as such I tend to dab the colour on. Starting in the top left corner I repeatedly dab the colour across the cardstock and then once I've reached the right hand side I then dab the colour back to the left in a back and forth motion all the way to the bottom. I find doing it this way you get the variation in colour and it gives it more of a water colour look. I did two 'coats' of the Bermuda Bay and then flicked Gold Wink of Stella across the top. More sparkle and shimmer! 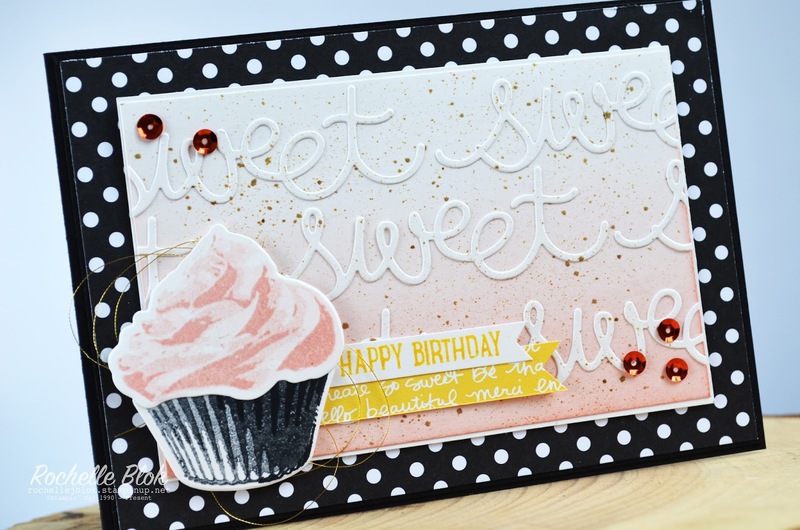 Once the Bermuda Bay layer was dry, well I thought it was dry, I put it through the Fluttering Embossing folder for some more embellishment and texture. The cardstock wasn't as dry as I thought it was when I ran it through the Big Shot and most of the antenna on the butterflies cracked. I had a bit more of a look at what had happened and decided not to start over and in actual fact I liked the effect the cracked cardstock had given and that the cracking also defined the antenna a little more. What is the saying 'There's never any mistakes in crafting..." or something like that! It is then all finished off with a circle of some of the Pop of Pink DSP, a layer of vellum, the gorgeous Burlap ribbon, Gold Sequin Trim, Gold Metallic Thread, Metal Rimmed Pearls and some White Perfect Accents. So why not now get your craft on today, make a card or two and get those cards in the post! I hope that I've inspired you today to get creation! Thanks for visiting my blog today, there are so many amazing ideas and inspiration you don't want to miss. Remember that currently you are at my blog - Rochelle Blok, so check the blog hop line up list to see who is next in the list. 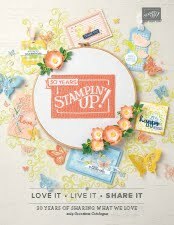 To celebrate WCMD Stampin' Up!® have some select card making supplies on sale from today till 5th Oct. Check out what is on offer here or go straight to my online store to see the range. As well as being the Australian Rules Football Grand Final something else amazing is happening today! Its World Card Making Day! WOOHOO! Do you remember the last time you received a card in the mail? In a sea of junk mail and bills, a card is a simple thing that really stands out to the person who receives it. Sending a card is a small gesture that shows just how much you care about that special someone in your life. 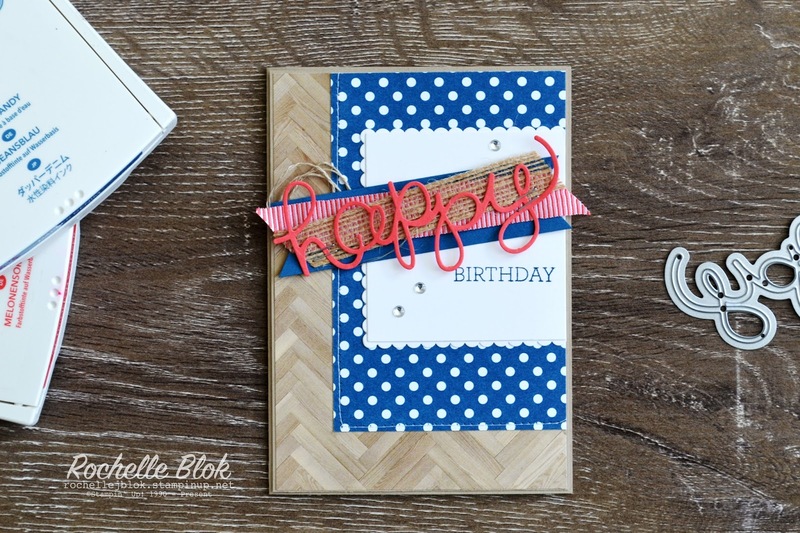 With World Card Making Day today, celebrate by making and sending a handmade card to someone who could use a little recognition, love, or just a boost (which is anyone, really!). 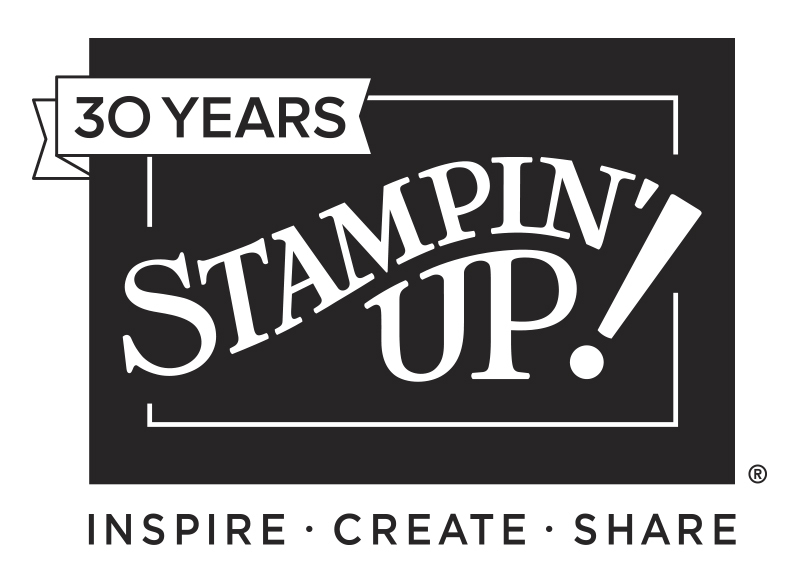 In celebration of World Card Making Day, from 1-5 October, you can save up to 25% on Stampin' Up!card making essentials that can be used to share your love all year long! 129027 Fast Fuse Adhesive Refill – Buy a Fast Fuse Adhesive (item 129026) and get a Refill for FREE! Click on the images below to see product information and to shop from my online store. Remeber this promotion MUST end 5th October so get your bagains NOW! Lets celebrate World Card Making Day today, get yourself some bargains make a card or two, and get them in the post TODAY! Let's get less bills in the mail and more cards and letters.